Tiki Huts-Tropical Island Archives - Blue Ribbon Pet Products, Inc.
Tiki refers to large wood or stone carvings of humanoid forms in Polynesian cultures. Peering from behind a palm tree; this fellow welcomes visitors to swim through his open mouth. A miniature hut with a perfect little hiding place for your betta. 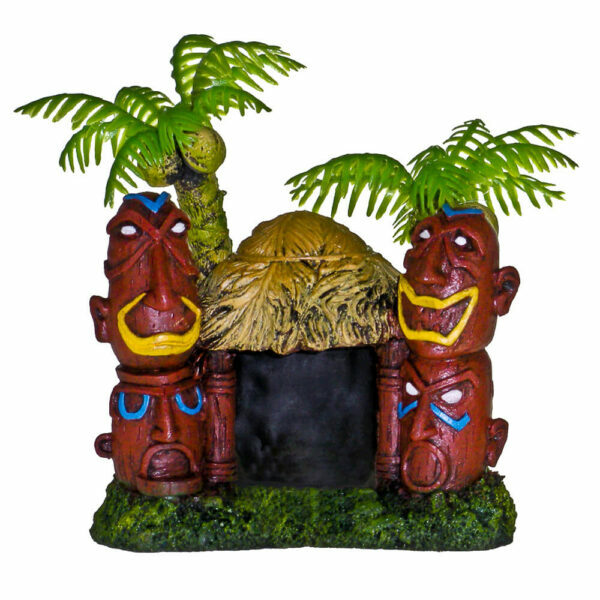 Two Tiki totems posing in front of palm trees create a welcoming entrance for your finned friend. Safe for fresh & saltwater.